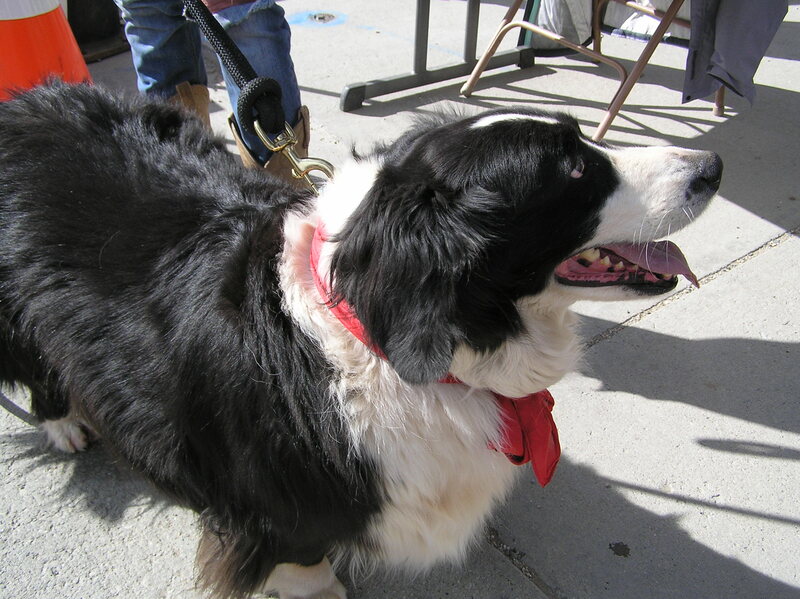 Christmas tree fundraiser, thanks to Park County Animal Hospital in Fairplay, earned $1,000+ for SPGSFA. Donations were given, then the donor would select an “ornament” to be placed on the tree. The donors would write the names of their pets on the ornament before decorating the tree. Beautiful tree with lots of happy faces from many generous donors. 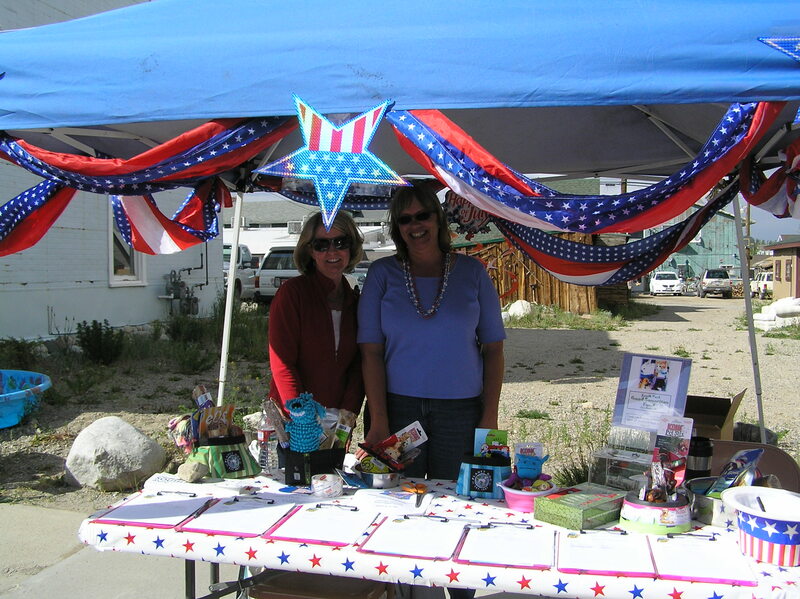 Also in December 2015, Colorado East Bank and Trust made SPGSFA a recipient of the proceeds of their yearly “Soups of South Park” Silent Auction. Generous South Park residents bid on donated items bringing in $1,500+ for SPGSFA. Thank you Colorado East Bank & Trust! 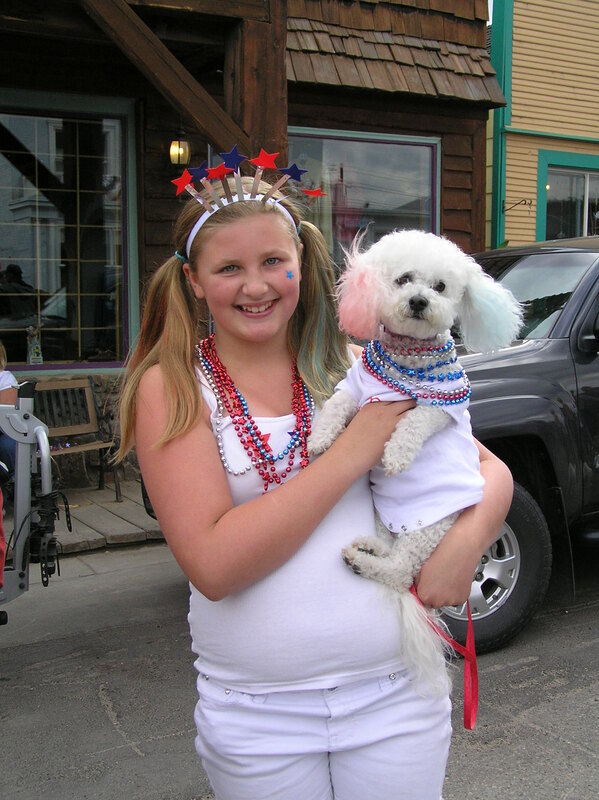 One of the ways the Town of Fairplay celebrates the 4th of July is by holding a Pet Parade and Costume Contest. The SPGSFA is invited to participate by serving as Honorary Judges of the Contest. There is a minor fee for participants, all of which is donated to SPGSFA. It is also an opportunity for the organization to display our donation box, bringing in even more donations. Thank you Fairplay and all contestants for supporting SPGSFA! 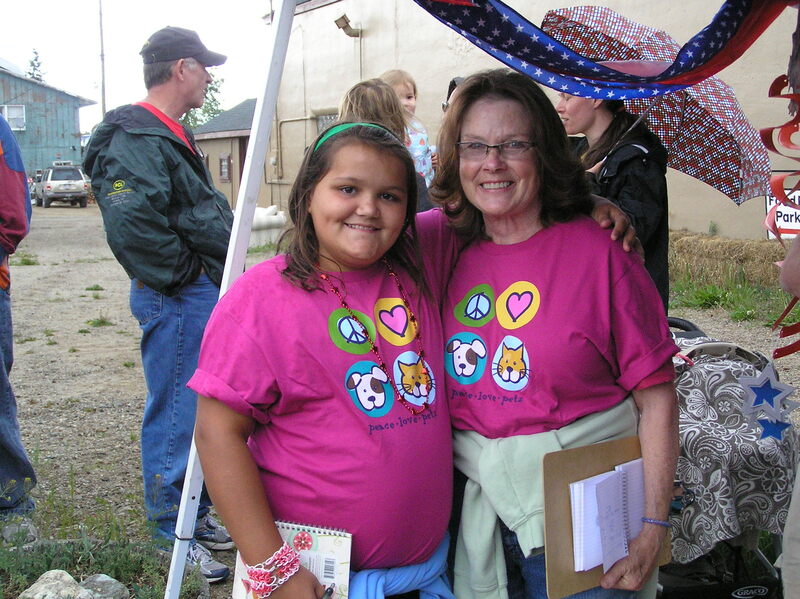 Thank you volunteer, Jessica, for your hard work (seen here with Board member, Kathy). Thank you, Kim Wittbrodt, for making this happen. 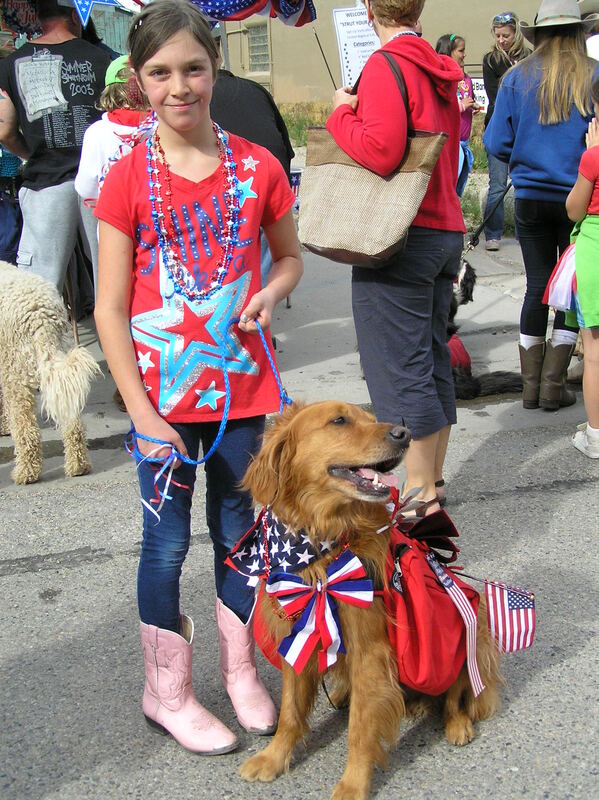 What fun for pets, pet owners, the judges and the whole town! 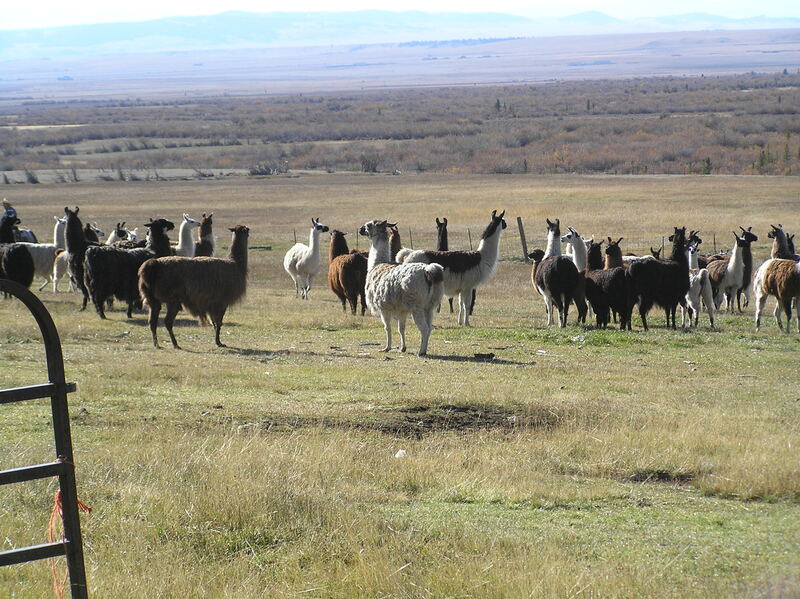 SPGSFA, Amy Mason, DVM, and several volunteers, including a cattleman on horseback, helped a local rancher load up several stock trailers of llamas to be taken to Colorado State University for sterilization surgeries and vaccinations. 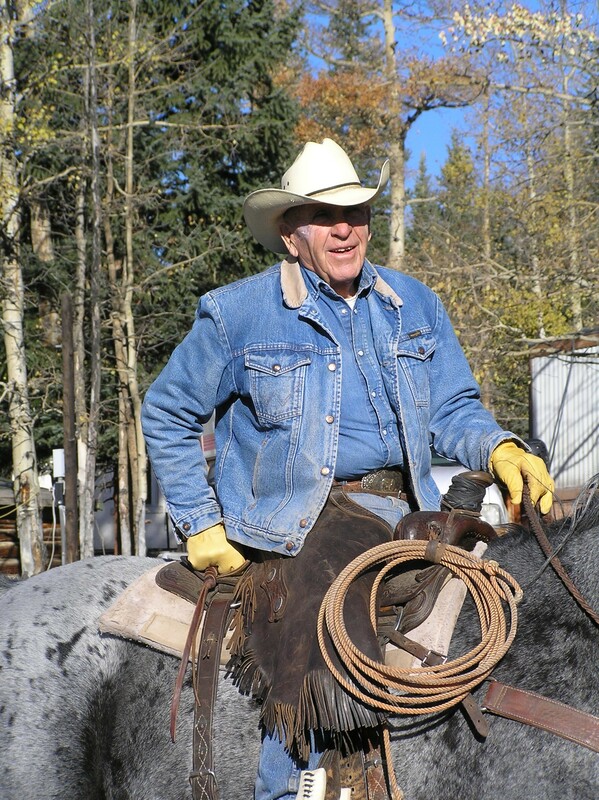 Vern Wagner rounding up on horseback. 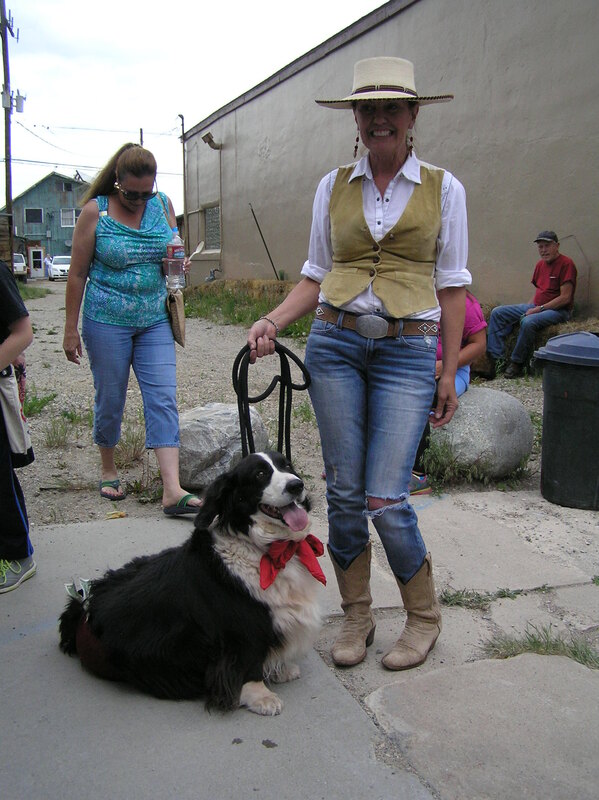 The town of Fairplay, CO, hosts every year on the last weekend of July an event known as Burro Days. 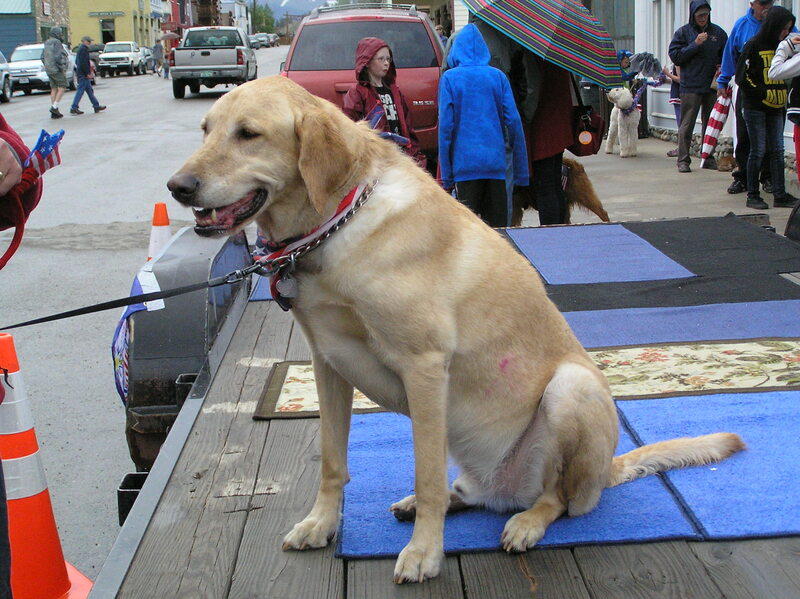 This event is a historical celebration of the mining history of the area, and the animals that hauled the miner’s equipment over the Mosquito mountain range trail to the mining town of Leadville. SPGSFA participates by educating the public on the nature and differences between mules and burros. 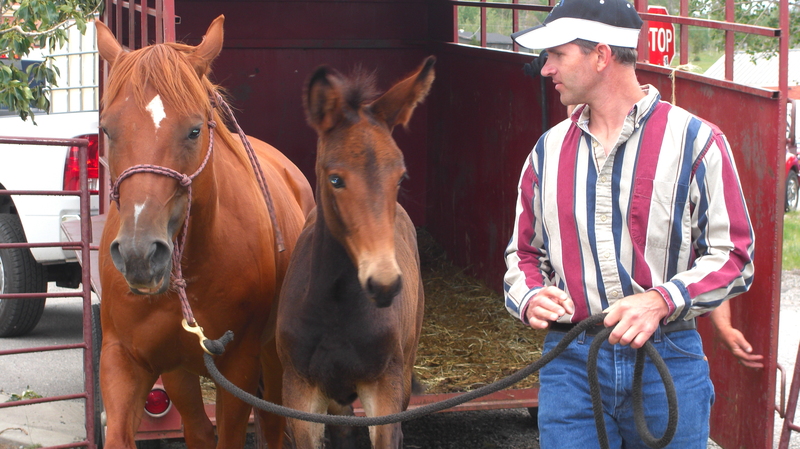 Dr. Kerry Madole trailers in his horse, her baby mule, and his mini horse, Cleo. 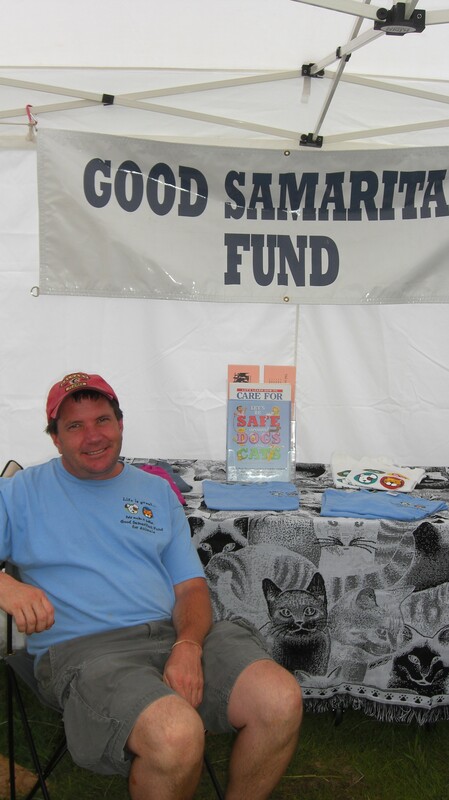 This event is an excellent source of fundraising for SPGSFA and provides an opportunity to inform the community as to the benefits of the organization and the benefit to individuals and their pets. 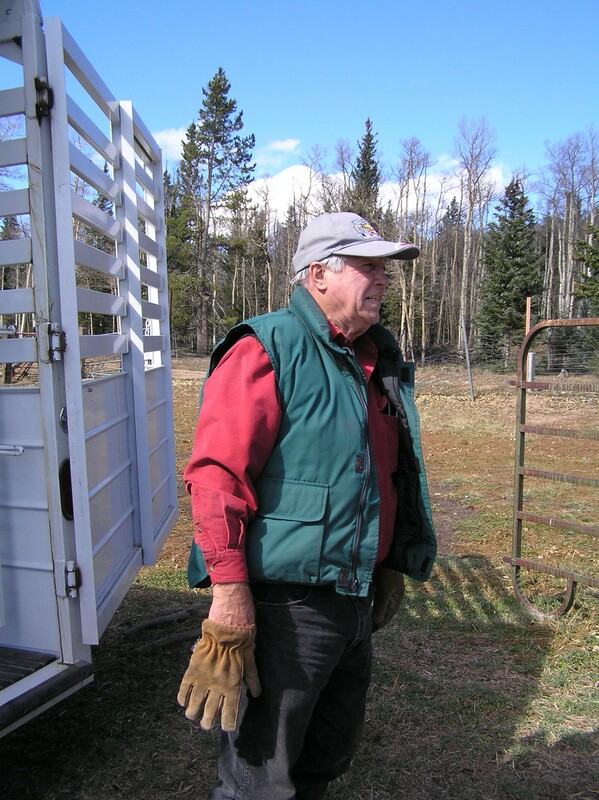 Volunteer, Bob, enjoying a rest. 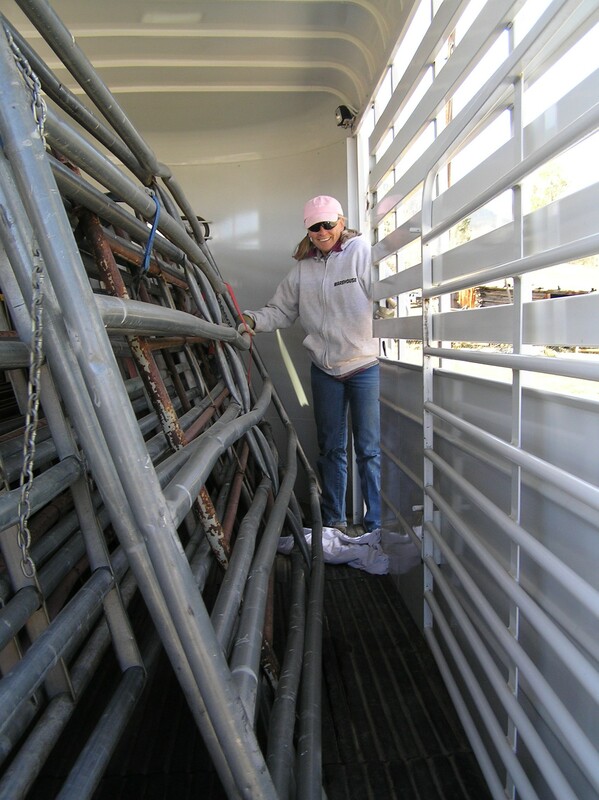 Dr. Madole unloading 4-legged volunteers: Mama & Baby Mule.